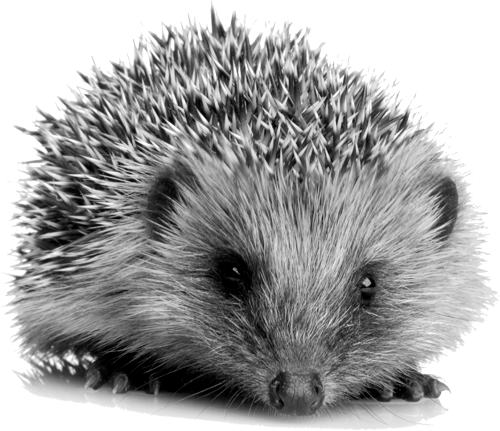 You are here: Home / I would like a hedgehog for my garden – where can I get one? We are constantly asked this question! The answer depends very much on what your garden is like, and if your local hedgehog carer has any hedgehogs to release. PLEASE DO NOT BE TEMPTED TO TAKE A HEDGEHOG FROM THE WILD IT MAY WELL HAVE DEPENDENT YOUNG IN A NEST THAT WILL SLOWLY STARVE TO DEATH WITHOUT THE ADULT. An escape proof area IS NOT suitable for a healthy hedgehog. Hedgehogs can travel up to 2 miles in a night, so to trap them in a smaller area, with no mate, and not enough natural food would be cruel. However, some rescue centres will release ‘disabled’ hedgehogs into secure gardens. This may be a blind hedgehog, or one that has had an amputation, and would struggle to survive in the wild. These hedgehogs don’t come along very often, as the majority of the casualties can be returned to the wild. So be prepared to wait! Hedgehogs are good at getting in and out of gardens, so to be escape proof would mean high solid walls on all sides with no gaps and no climbing plants that they can use as a scrambling net to climb up the wall. Please bear in mind that there is a great responsibility with caring for a disabled hedgehog in an enclosed garden as it will need feeding every night (the garden alone will not offer enough food) this needs to be considered when taking holidays, etc. For more information see BHPS leaflet “Enclosed Gardens”. Ponds or pools should be easily escapable, a sloping edge or half-submerged rocks or wire that can be used as a scrambling net will help, as will keeping pond and pool levels topped up. Hedgehogs can swim well, but struggle to get out of steep slippy sided ponds and pools. It is wise to check ponds for casualties every morning. Dogs can be a problem for hedgehogs. If you have a dog that is very territorial and likely to attack hedgehogs, obviously your garden won’t be suitable. If there are neighbours with such dogs this should be considered, as hedgehogs are likely to travel around your area, not just your garden. Predators that are capable of killing a hedgehog, like badgers, can cause problems with populations locally. While we cannot guarantee a predator free area anywhere in the UK, carers would not want to release a hedgehog; that they have probably spent a great deal of time and money on, into an area where predators are prolific. Roads are a problem for hedgehogs; no doubt you will have seen many dead on roads in your lifetime. Again, we cannot find release sites that have no roads within the area the hedgehogs will roam, but if you live right next to a busy road, your garden isn’t ideal. Slug Pellets and Pesticides can potentially kill hedgehogs, and certainly damages the food chain they rely upon. So if you know that you or a neighbour uses these chemicals, it wouldn’t be considered a suitable area to release a hedgehog. For more tips on making your garden safe for hedgehogs see BHPS leaflets “Creating a Wildlife Garden” and “Gardening ‘with’ Hedgehogs”. If after careful consideration you still think your open garden is suitable and you do already have hedgehogs in your area, or have an enclosed garden to offer, please get in touch with BHPS for details of your local hedgehog carer. It is worth bearing in mind that hedgehog carers are usually individuals who spend a lot of their own time and money rehabilitating hedgehogs. Please show consideration for their time and remember the welfare of the hedgehogs is paramount, so rehabilitators will spend time caring for and collecting their patients first and returning calls from people wanting to offer homes for hedgehogs second. In the meantime try to encourage your local hedgehogs into your garden. Ensure there is easy access in by 13cm (5”) square gaps at the bottom of boundaries. Put out hedgehog food, meat based pet food and cat biscuits. Offer fresh water to drink. It is a good idea to provide a feeding station for visiting hedgehogs so that cats and other animals don’t steal the food. To make a feeding station for hedgehogs. Use either a plastic mushroom box or child’s toy box or similar and cut a 13cm x 13cm (5”x5”) hole in one of the short sides. Place this over the food, like a tunnel, and the hedgehog can get through the hole to the food but the cats can’t. A brick on top should stop the box being pushed aside. A brick approx 13cm (5”) in front of the entrance will stop a cat lying down and scooping the food out with a paw! Always make sure there is a little food left in the mornings – if not, you are not feeding them enough. Finally you may like to buy or make a hedgehog home to offer as a hibernation or nesting site. See BHPS leaflet “Hedgehog Homes” and our Hogalogue gift catalogue or online shop. Suggested further reading: The New Hedgehog Book by Dr Pat Morris, Hedgehog Rehabilitation by Kay Bullen and A Prickly Affair: My Life With Hedgehogs by Hugh Warwick.